An office needs much more than furniture, light, and gallons of coffee to stay productive. Without motivated employees, office productivity can come to a halt. The results of a poorly motivated team are well-documented: lower efficiency, more sick days, and higher turnover rates. And those are all costly problems for office managers. In fact, research indicates that the U.S. economy loses roughly half a billion dollars annually due to workplace events stemming from unmotivated employees – which explains why ensuring employee satisfaction is one of the essential duties of an office manager. To avoid the high costs of neglecting employees, an office manager needs to be able to accommodate every employee’s needs in the workplace. With that perspective in mind, it’s easy to see why managers always seem to be chasing the latest office design trends. Since new generations of employees increasingly expect working environments that value their creativity, social lives, and work-life balance, today’s cutting edge offices offer flexible, collaborative spaces in which workers can choose how and where they work. And because new generations of employees value technology, the same companies creating the technology that changes our lives are also influencing the shape of our offices. The offices of Facebook, Google, and Mozilla in particular have made waves with some unique perks of their workspaces. 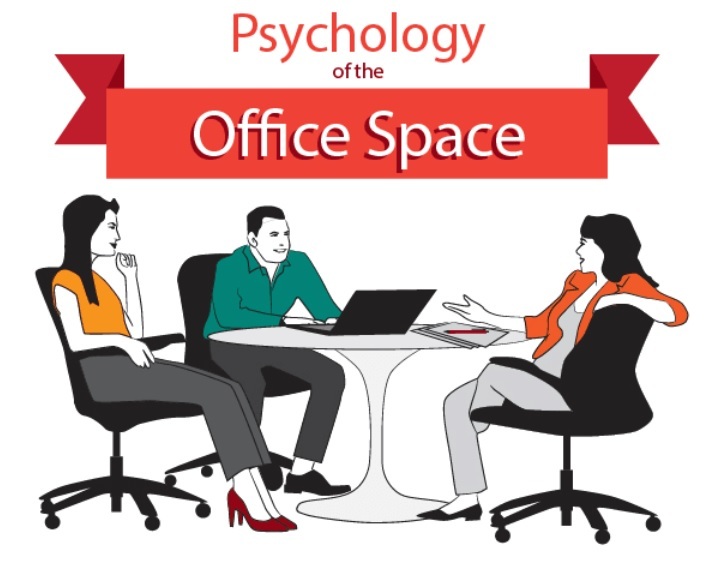 In the infographic below, created by USC Dornsife’s Masters of Applied Psychology Program, you can find a timeline of how offices have evolved over the decades, along with what today’s employees are looking for in their workplaces.